Sandi Thom’s debut single I Wish I Was a Punk Rocker topped the charts in 7 countries when it was released in 2006. Her album also went on to sell over a million copies. 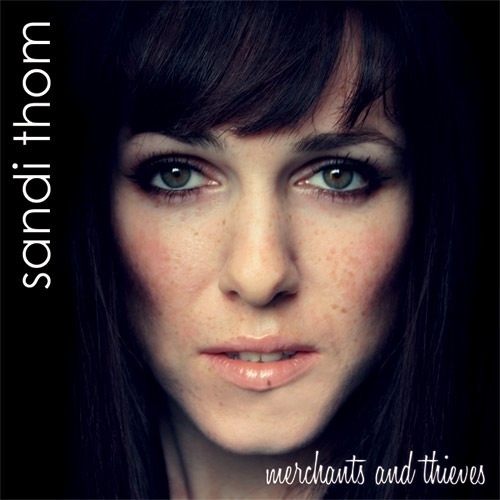 2010 heralds the return of Thom with Merchants & Thieves, due for release on May 17th. In 2009 Thom toured the UK & Europe with new Blues Powerhouse Joe Bonamassa and opened for acts like BB King and Steve Winwood. This inspired her to explore deeper and more organic musical roots with this record. At Celtic Connections in Glasgow in January, for Thom took lead guitar for the first time on the album’s excellent, early Fleetwood Mac-inspired Gold Dust and then led the band through Led Zeppelin’s When The Levee Breaks. Thom was encouraged to tap into her love of heritage music, and her respect for such guitar giants as Peter Green. Later she was asked to sit in as a vocalist with Joe Bonamassa, when he lost his voice. The album is vastly different from her 2006 debut Smile…It Confuses People but fans of her previous album and more pop inspired songs wont be disappointed. Her stunning voice is still very much present although backed up with a much more rugged blues sound. When speaking about the past few years of her career Thom recalls “My journey from 2005 to the present day has been pretty mad. But it’s been great, it all contributes to the song writing.” She continues “The one thing I re-established recently is the confidence in myself as a songwriter, as a musician. You go through that feeling of people saying ‘That’ll be the end of you,’ and I don’t think it will, actually. In all honesty, the people at Sony were all just trying to do their jobs. Sometimes it’s just too many chiefs and not enough Indians”.